Hours ago… minutes ago… these men were behind barbed wire. 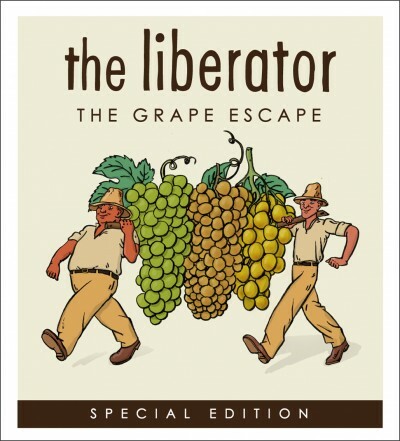 Rick has always loved the concept of making a ‘bootleg’ wine; liberating grapes from one of the world’s greatest vineyard sites and satisfying his curiosity as to whether he could vinify something comparable to the official article. Perhaps even better. Not, of course, that he would ever consider hatching the plan for real. It’s just something that occasionally occupies his inquisitive mind. Regardless, Rick was somewhat flattered to be invited by the Queen’s own wine merchant to liberate an exclusive parcel. Rick will just leave you guessing. 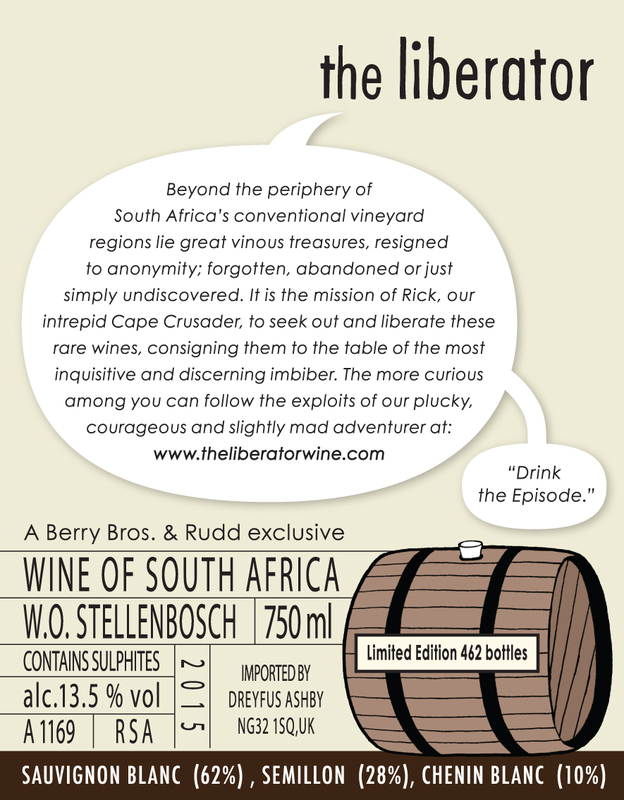 As for the wine itself, the (legitimately) sourced grapes come from a very respectable address in Stellenbosch, with each variety visually identified on the label: the verdant appearance of the Sauvignon Blanc, hung next to the compact, golden berries of Semillon. 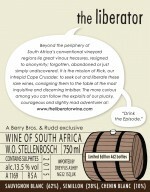 The generous, juicy Chenin brings up the rear which, despite its minor role in the blend, offers a striding linearity. At just 462 bottles, The Grape Escape is Rick’s most limited ‘Special Edition’ to date.